"I did want to let everyone know that I was really impressed by the number of serious inquiries about the car we received from running an ad with you. If you ever need someone to recommend the effectiveness of advertising on your site and newsletter, I would be glad to tell them how easy and effective it was. 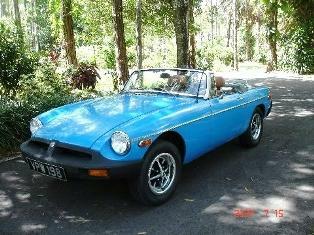 - Nell Benjamin"
"The 1964 MGB I had advertised on your site has been sold. I received over 10 responses to the ad and the purchaser was one of them. Your site provided great exposure and serious buyers, thanks! 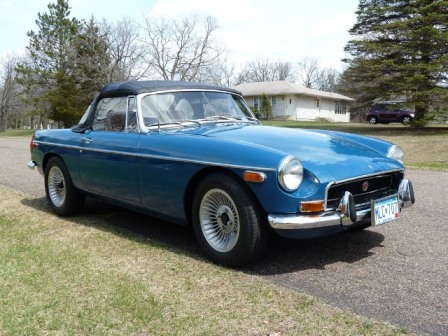 Bill Kuehrmann, St. Louis, MO"
1968 MGB roadster. NO rust anywhere. Factory hardtop (convertible top bows included). Full tonneau cover. Rescued from 30 years storage. Mechanically refurbished by BMC factory trained mechanic. An un-restored, but thoroughly road-worthy car. Radio and heater delete. $4800.00. Call Bob at 304-268-9440. Located in DC metro region. MGB fiberglass Snugtop by Custom Hardtops of Long Beach, CA purchased in the 1970s; in garage on or off the car. Black; good condition. $450; buyer pays shipping. 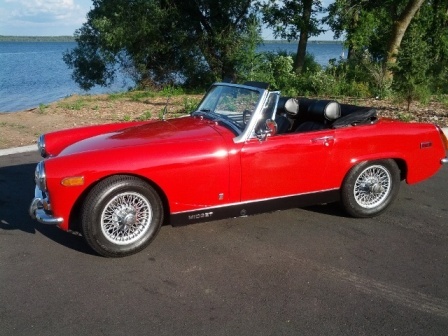 MG Midget and MGB Hardtops. Please send a photo of whatever hardtop you aren't using, any style and any condition. Please send info to gsabrams@msn.com or call Greg Abrams 805-405-3617. University Motors Ltd has now transformed into University Motors Online. Although John Twist will no longer work in his shop, he will be available for consultation, technical advice shows and seminars. But, he is not really re-tiring - it's more like re-treading. Freed from the daily business operations, he shall have more time to dedicate to MG technical publications and presentations. His website is still www.universitymotorsltd.com and shall remain active. He is available to present technical seminars for your club, organization, or business. He will always be able to be contacted by the website. He won't be far away! Swap meet ads are free to AMGBA members. Please limit swap meet ads to one per issue per member and to 50 words or less. Ads will appear for a minim um of 3 months on the website (and may appear up to 6 months depending on space) and in at least one issue of the club printed magazine and emailed emagazine (and may appear in 2 depending on space) must be resubmitted for additional time. Ads appear on our website, in the Octagon, in the eOctagon, on Facebook and Twitter. Ads include one color photo. Additional photos are $10 each. For others and for commercial suppliers (or additional ads for members) the rate is $15.00 for 50 words or less. Additional words are 50 cents each. Deadline dates are the same as for the other AMGBA OCTAGON items which are found in the AD RATES area of this website. The AMGBA makes no claims, either stated or implied, concerning the quality, authenticity or availability of items offered and claims no responsibility for any transactions as a result of the swap meet ad. or use the classified ad submit form here. WARNING: CAR SALES SCAM. The check the “buyer” sends you is a fake. If you deposit it into your account and then obtain a Cashiers Check for the difference and send it to the accomplice, it will be cashed before the fake check you deposited is returned to your bank and charged back to your account. You will be ripped off for the amount of the Cashiers Check that you sent. You might want to warn the members in the magazine.